There is hardly any debate whether online stores have created ripples of worry in the world of physical stores. 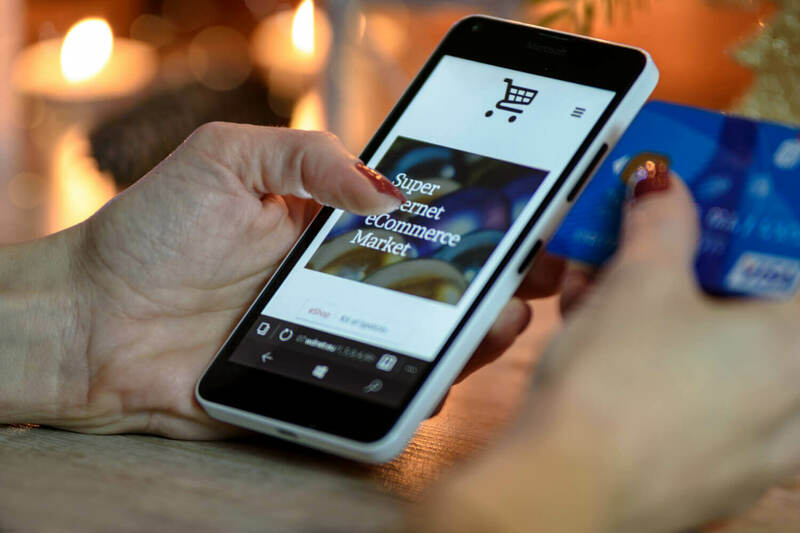 With the unprecedented increase in the internet penetration and abundance of devices like mobile and tablet, online shopping has become the go-to, especially for millennials. It has created a threat to the very existence and relevance of physical stores. That’s why brick-and-mortar retail stores are forced to go innovative and give something that online stores are not providing. 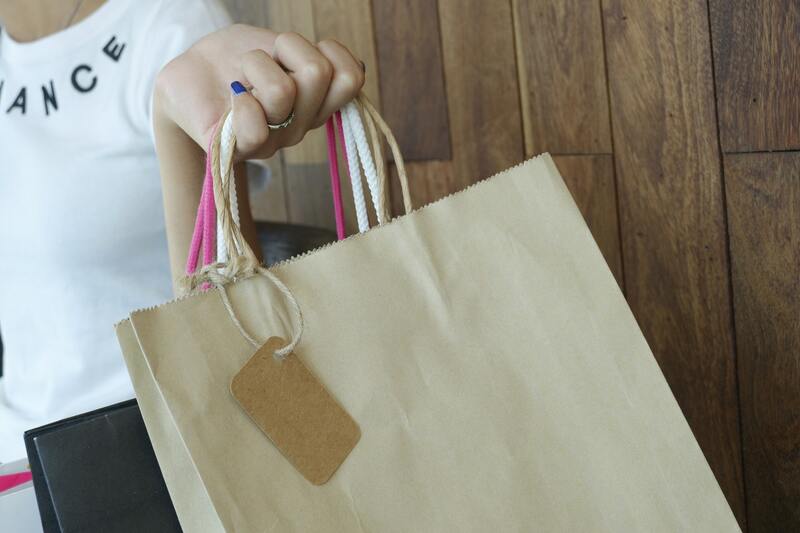 As it’s not always feasible to differentiate stores on the basis of product, most stores are investing their energy in enhancing what they deliver best–a real and personal shopping experience. While this approach may sound old-fashioned, the most successful retailers are using exciting in-store technology. We will take a look at some stores across the globe to understand how they are using the power of digital to attract more customers to relish new and creative in-store experiences. Japanese retailer Uniqlo recently launched its first “neuroscience” fashion campaign in Australia. It was based on the concept of suggesting clothes to the customer on the basis of his or her mood. Uniqlo’s in-store tecnology includes a “UMood” booth. Frankly speaking, there are concrete reports which suggest that our neuroscience drives the way how we perceive or react to the ads. So, it was just a matter of time before leading brands, like UNIQLO, built this into their in-store experience. 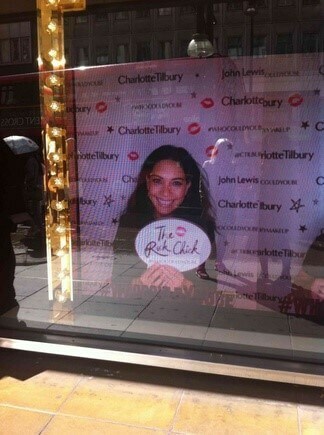 Premium international makeup brand Charlotte Tilbury came up with a creative digital GIF booth and window installation where customers can create a GIF with their newly done makeup. Charlotte Tillbury’s in-store technology leverages GIFs. It also allows customers to have their names and faces in that window. Plus, the customer can share this whole experience via social media. 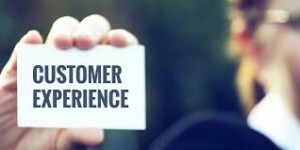 So, a closer look at it will reveal that this innovation is not just boosting the customer experience, but customer interaction as well. Australian clothing retailer, General Pants Co, has installed interactive kiosks in its store to bridge the gap between online and offline shopping experience. They have imitated many social media interactions with their “Insta-opinion” function, which allows customers to photograph themselves wearing or holding up an item from the store. Then those photos will be submitted in real time to get feedback from other kiosk users a thumbs up or down. It’s so Facebook! The General Pants team shows off its in-store technology. Their ‘Our Picks’ function displays raging trends in clothing and accessories which customers can browse, purchase in-store, email to themselves or order from the Kiosk and shipped directly to their house. Similarly, the ‘People’ feature is a collage of photos selected by General Pants staff from customers’ social accounts, such as Twitter, Vine, Facebook, and Instagram. 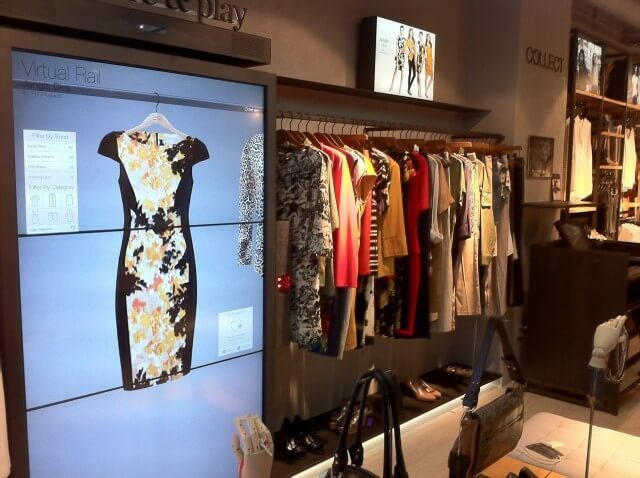 To push store sales, Marks & Spencer has mounted virtual rail in its Amsterdam store. Along with the typical videos about recent fashion playing on big screens, customers can browse the life-sized imagery of the prettiest dresses and trousers on a 3 x 46? touchscreen which simulates a real life clothing rail. Marks & Spencer’s Virtual Rail simulates a clothing rack (just like in Clueless!). What truly differentiates this in-store technology is that it’s not just restricted to browsing. This ‘eboutique’ also allows customers to see a model wearing the clothes of their choice. After checking out the price and final selection, customers can place orders for free delivery in the store via iPads or on their own phone using the store’s Wi-Fi. Bloomingdale’s Manhattan flagship store tries to convert passersby with the help of six interactive window displays of Ralph Lauren clothing. Consumers on-the-go can tap color swatches on a touchscreen facing the sidewalk. Apparel matching that particular color is then displayed in the window. If shoppers like what they see, they can text “POLO” for a link to a checkout page. 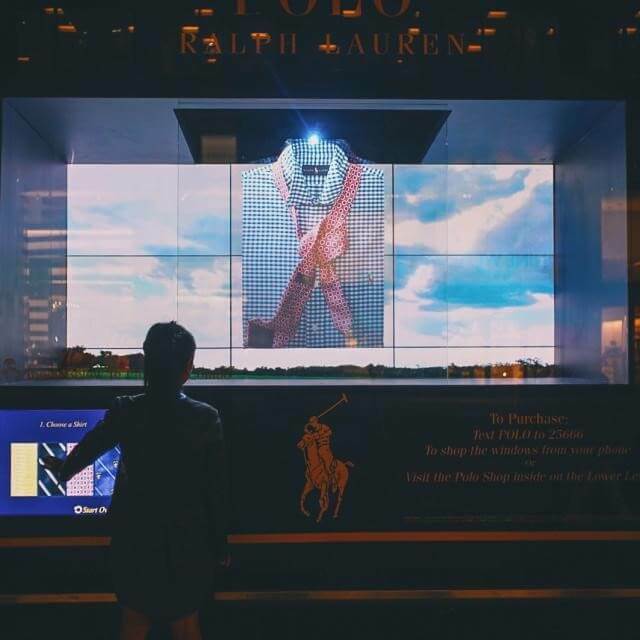 Bloomingdales’ interactive window displays promote Ralph Lauren goods. Apart from boosting the impulse buy, this in-store technology is also reducing the length of time which generally occurs during shopping. A shopper can get his delivery on the sidewalk itself without ever setting foot in the store. After collaborating with eBay, Rebecca Minkoff has come up with a digitally connected store. Along with merging online and physical shopping experience, this technologically powered innovation is a great example of how you can use the space of your store more efficiently. 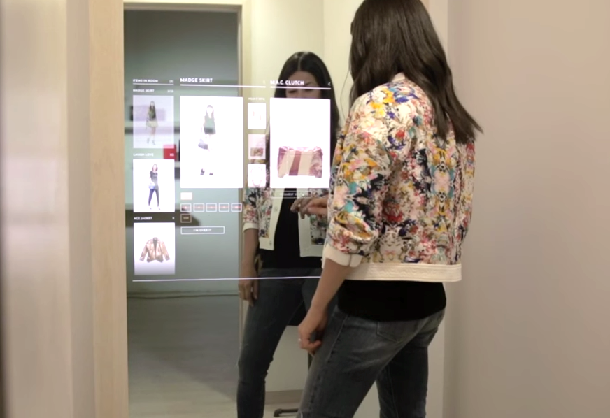 Rebecca Minkoff’s in-store technology includes a digital mirror. The connected wall in the store has a mirror which continuously displays videos and product related content. 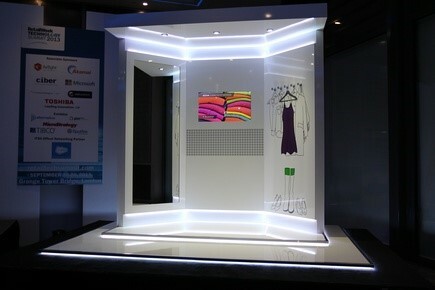 It’s highly interactive as customers can touch the mirror and give instructions about preparing dressing rooms for them. They can even order drinks and change the lighting as per their wish. All of these preferences are stored in profiles, so when shoppers return to the store, everything will automatically be just how they like it. With the help of RFID and other identifiers, wall can indicate the customers about other sizes and colors that are available to the consumer. This is a classic example of how innovation can help in creating fully customized shopping experience. Another noteworthy thing is it can work alongside the Minkoff mobile app. After collaborating with tech developer Avanade, Kohl’s has come up with a digitally interactive fitting room where customers could try on clothes and accessories. 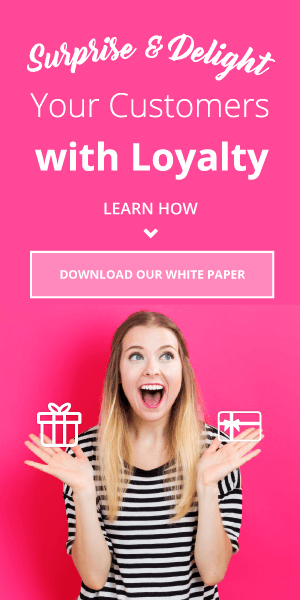 This empowers customers in an extremely positive way. If the size of the garment is not perfect, with the help of this technology, customers can request different sizes or styles. They can also virtually accessorize their outfits with bags or scarves and visualize it all on the screen mounted within the room. Kohl’s interactive fitting rooms facilitate upsells. No doubt, it is adding extra value to the overall customer experience, but it is also helping Kohl’s in closing the deal when customers are not sure about the accessories they are buying. Now customers can see how that dress or accessories will actually look after putting them on the body. Jaguar, with tech assistance from IBM, launched a new in-store virtual reality screen. With the help of sensory-based technology, customers can see and experience their own model of Jaguar on that screen. Jaguar’s in-store technology is assisted by IBM and several other firms. 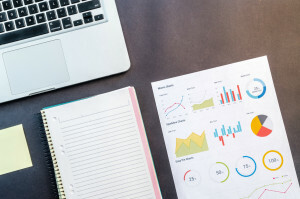 This screen-borne experience integrates IBM analytics and Smarter Commerce Intelligent Commerce Experience technology, as well as technology from the UK gaming company Eutechnyx and JLR. A consumer can select the model, make, color and features of a car and see as well as hear through an iPad and Microsoft Kinect sensory technology. This in-store technology also allows consumers to get in the car and try interior features with a 360-degree view. Moreover, consumers can make real-time changes. Augmented Reality (AR) was a niche technology in the past. But now it has become a norm for many and John Lewis has decided to harness its immeasurable clout. 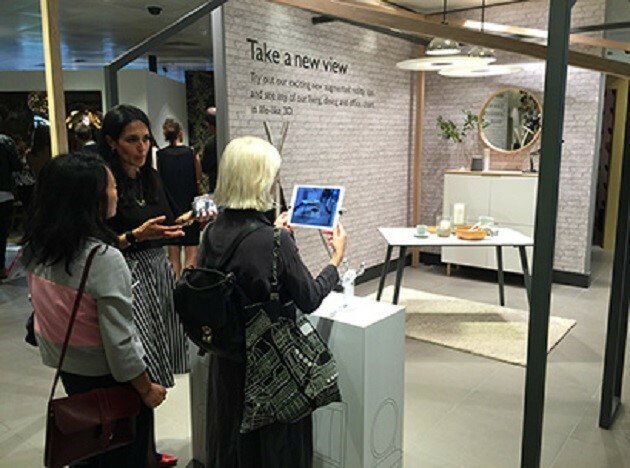 In partnership with Cimagine, John Lewis has shaped a virtual showroom in the store and is also planning to add a parallel display at its Cambridge store reports Insider Retail. This technology is equipped with the power which can convert any open physical space into a virtual showroom. AR is used to add high-resolution computer-generated models, such as furniture and appliances, to the real in-store setting. It also facilitates the customers’ task to browse through the thick catalog of the furniture items. John Lewis has created a virtual showroom for its clients. With the help of inbuilt scanning technology, customers can envisage how furniture like a table or chair would physically look like in their home. In short, customers can virtually ‘try’ an item before they buy it.